Sherry casks part 3: what goes into a sherry cask? 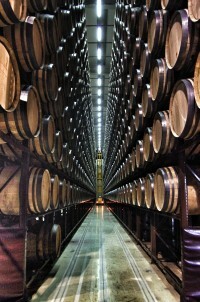 — The Whisky Exchange Whisky Blog Sherry casks part 3: what goes into a sherry cask? Home WHISKY & WHISKEY Scotch Whisky Sherry casks part three: what goes into a sherry cask? 14 Comments on Sherry casks part three: what goes into a sherry cask? In the last post, I talked about how the type of wood that makes up a cask has a large effect on the spirit that goes into it. However, if the cask has already had a liquid stored in it, then that too will obviously have some influence as well. In the case of a sherry cask, that liquid will either be sherry or another similar fortified wine. It starts, as you might expect, with grapes. The most common grape used to make sherry is Palomino, which produces a low-sugar, low-acid, generally uninteresting wine. While that’s not a good combination for table wine, it’s perfect for sherry – the complexity of flavour will come from the maturation process. The grapes are pressed, with the results each pressing being set aside for a different grade of sherry, and the juice is left to ferment. Once it’s reached around 12-13% abv, it’s racked into casks and choices are made as to the type of sherry it will become. Firstly, fino. This is a dry style that’s very light in colour, with a zingy, nutty and yeasty character. To make it, you fortify the wine up to about 15% using a high-strength grape spirit, which strengthens the wine but is still low enough in alcohol to keep the yeasts suspended in the liquid alive. They clump on the surface to form a protective layer known as flor, which helps digest any sugars remaining in the wine as well as keeping the colour light, by preventing contact with the oxygen in the air. American oak casks are almost always used to mature fino and it’s not often seen in the whisky world, with recent exceptions like the Glenfarclas 1966 Fino Cask, Kavalan Fino and the legendary Bowmore 1964 vintage fino bottlings. Secondly, oloroso. This is the style that’s most commonly associated with whisky casks, and is a rich wine with some residual sweetness. The style varies quite a lot, as you’ll often find that olorosos sold in the UK are sweetened to better match the sugar-loving British palate. By contrast, Spanish olorosos will often be quite dry, with a nutty character. Either way, the process starts by fortifying the wine to about 17%, which kills the yeasts, and allows the wine to mature while exposed to the air. It will darken in colour and change in flavour over time, increasing in complexity and losing any rough edges. When it comes to whisky making, a third wine is becoming increasingly important – Pedro Ximénez, aka PX. It starts out as a regular white grape, but is dried to an almost raisin-like level before being pressed, concentrating the sugars. 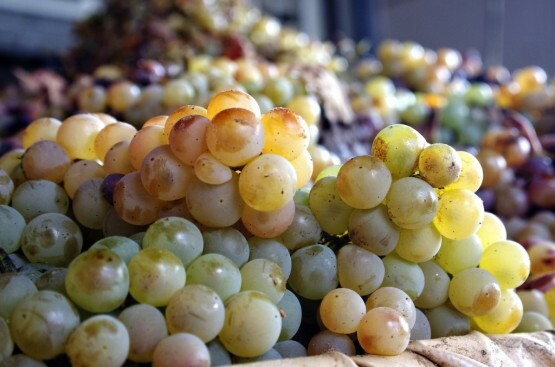 The juice that you do get from the shrivelled grapes is very sugary, and when it’s made into sherry it remains sweet. While you can find it on its own, and is great poured over vanilla ice cream, it’s also used to sweeten other wines, such as UK-bound olorosos. At this point the wine is ready to be drunk, and traditionally it would have been filled into a cask to be transported to where it was to be sold. As export regulations no longer allow that, the bodegas creating whisky casks try and replicate the process on site. At Bodegas José y Miguel Martin, they first fill their new casks with sacrificial young oloroso, to draw out some of the oak’s intensely woody flavour. 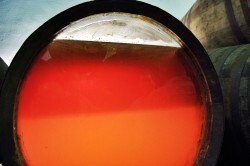 The wine is left in the cask for a few months before being decanted and filled into another cask. After seasoning four casks, the wine is too oaky to drink and will be turned into sherry vinegar. The casks are not done yet, and are filled with more oloroso and left for between months and years to further season. Once the cask is deemed ready, the sherry is decanted and used to fill the first cask of a solera. The solera casks are old and perfect for maturing the oaky wine, allowing the woodiness to fade over time, becoming part of the character of an old oloroso. The cask, now empty, is shipped to Scotland, where it will start a new life: maturing Scotch whisky. So, what type of oak is used in the Oloroso casks that are so prominent in scotch whisky maturation? You said Fino- therefore Amontillado typically use American Oak- I’m assuming they are refurbished staves from bourbon oak made into Hogsheads. Is oloroso American Oak or European? It all depends on the cask and the bodega – both American and European oak (although, European oak covers a wide range of types) are used for Oloroso. If the cask has been specifically made for whisky (see parts one and two of this series for details) then it’ll probably be European oak, but if it’s a cask that was primarily used for sherry manufacture, then it’s down to the producer and their style. Sherry casks are, as far as I know, all new oak casks, so they wouldn’t be reused bourbon cask staves – American oak in this context is just that: oak from America. I know this is an old article, but I have a few questions and hopefully someone would still chime in. I hear that a lot of distillers would re-char the Sherry Casks after getting them from Spain. If that’s true, wouldn’t the high temperature kill any Sherry flavor? Were distillers doing re-charring with the transport casks before 1980s? After the casks were used for a few rounds of aging whisky, some distillers rejuvenate by scraping and re-charring. Again, would any Sherry characters be left for a rejuvenated cask, or is that really a fresh oak cask? I don’t think that there’s much toasting of fresh sherry casks – the character would be changed and most distillers want the fresh flavour cask profile if they’re spending the cash to bring them over. The dechar/rechar thing after a few uses is a different matter and there are different opinions on the impact it has. The late Dr Jim Swan, the man behind the flavour profile of a bunch of distilleries around the world, liked STR casks – shaved/toasted/recharred casks that used to hold wine – which he reckoned maintained some wine character. Distilleries like Kavalan and Cotswolds both use them and there is definitely some wine character, although nowhere near as much as in a fresh cask.